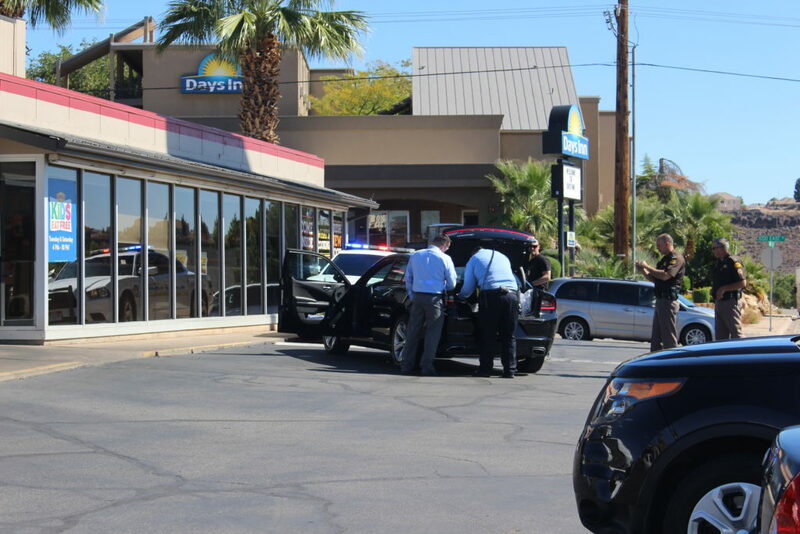 ST. GEORGE — A woman suspected of prostitution led police on a short chase just after 11 a.m. Tuesday, finally ending up in the Denny’s parking lot on N. 1000 East in St. George where she rammed an unmarked police car before surrendering to authorities. 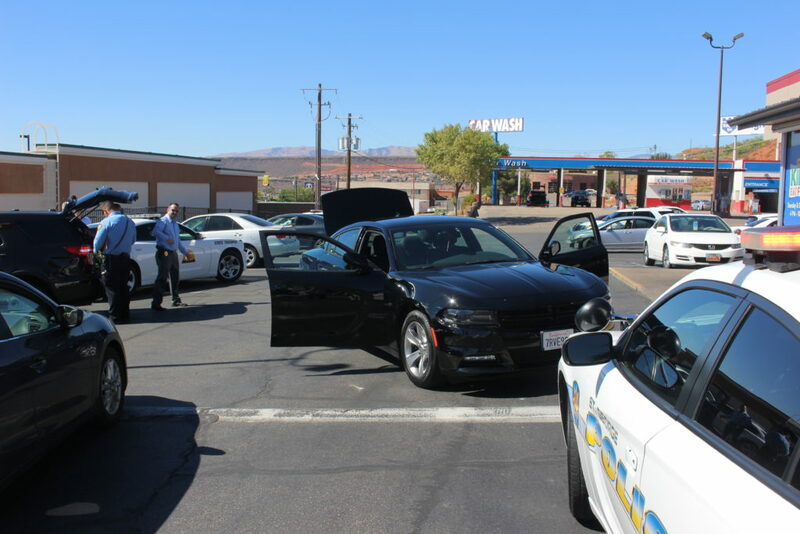 In the process of fleeing, the woman rammed her 2016 Dodge Charger into the passenger side door of the detective’s car. Then the detectives got some unexpected help. 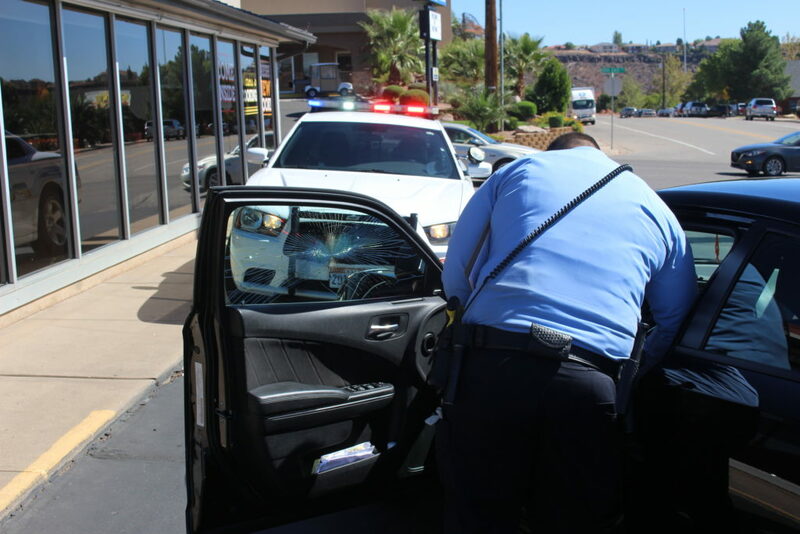 Officers and a police negotiator approached the vehicle and were able to get the woman out of the car without incident. 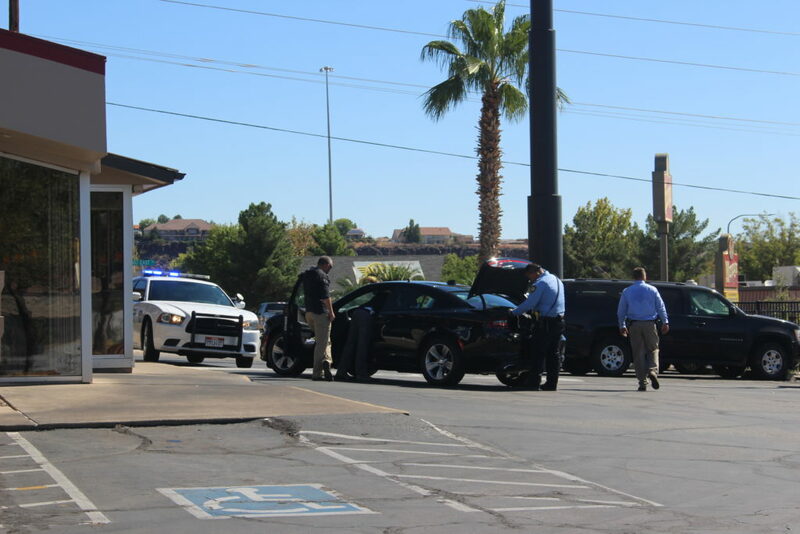 She exited the vehicle on her own, was arrested and taken to Dixie Regional Medical Center in St. George for a medical evaluation. 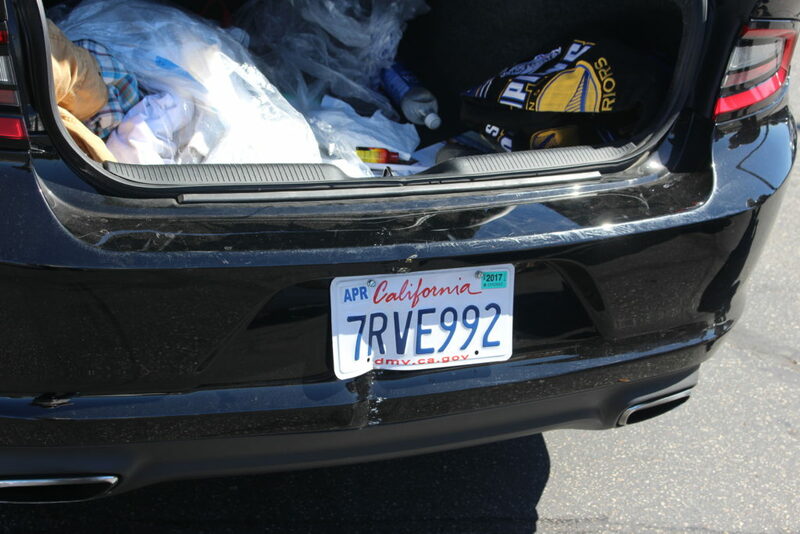 The detectives in the unmarked vehicle were not injured. An investigation is ongoing. Charges against the woman are pending. She will be booked into Purgatory Correctional Center as soon as she receives medical clearance from DRMC doctors and is interviewed by detectives. 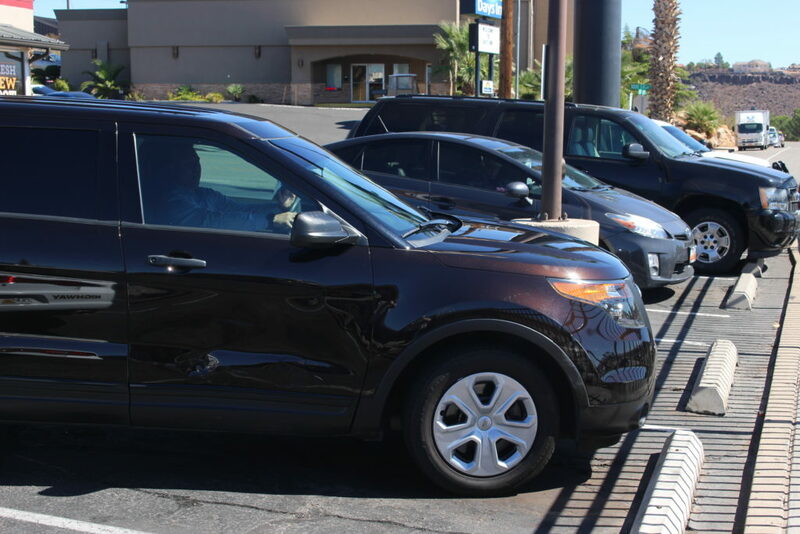 Two units from the Utah Highway Patrol were called to the scene to make an accident report. 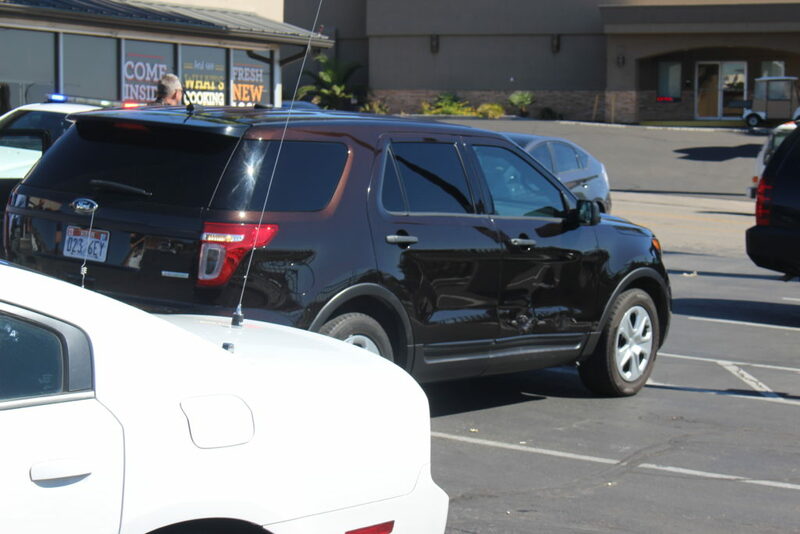 Units from the St. George Police Department and Gold Cross Ambulance were also at the scene. UPDATE 6:35 p.m. 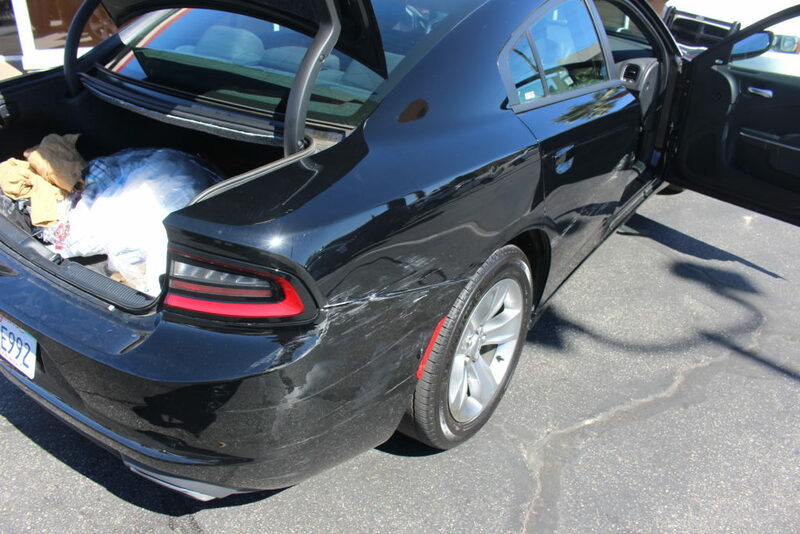 The driver of the Dodge Charger was Keilii Minyon Maxey of Burbank, California. She was arrested on two charges of assault on a police officer, two charges of assault by propelling bodily substances, six charges of aggravated assault using a weapon and one charge of exploiting prostitution. She is being held at Purgatory Correctional Center with $60,000 bail required for her release pending trial. Get the Meth and heroin Dealers! Waist Resources On someone who is just hurting herself?? Heroin and Meth Kill Kids! How can we keep this kind of filthy excuse for a Human from frequenting St George? Can we have a hunting season for Animals like this? Oh my this is very tragic to have that kind of activity take place in our beloved community I am so glad the law enforcement personnel were able to go home to their loved ones. Oh my this could of been much worse than it was. I’m glad the police were not injured and we’re able to go home to their loved ones. and hopefully this young lady will accept Jesus and leave behind that life of sin. Praise the Lord ! There were prostitution arrests two days in a row according to bookings. Are they all related cases? Just read an article on Deseret News website about this. It mentions that the 2 adults arrested were also charged with forcing a 15 yr old into prostitution. I wondered why the bookings stated a 1st degree felony for aggravated Prostitution. So I guess my question would be this: Why does a news organization 300 miles away have the full story and locals do not ? Is the STG governement in charge of news and keeping this area a mostly feel good news outlet ? Don’t want any stories of 15 yr olds forced into prostitution. The first-degree felony aggravated prostitution count is a charge involving a child; the county attorney has brought that charge against both Maxey and Alcutt. The third-degree felony exploiting prostitution charge has also been brought against Alcutt.